We would be totally fibbing if we said we didn’t sport all of these amazing babe designers on the regular, but seriously— their new Fall attire has us crazy over here! 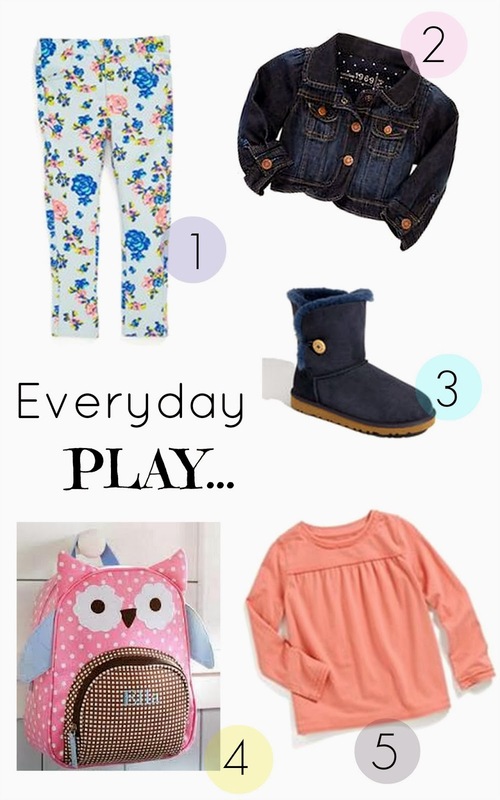 Just look at these comfy yet oh so stylish pieces for your little one. Girly, trendy and most importantly super soft and cozy so that your little mini can play in comfort. From Fall floral to soft denim– GAP, Tucker + Tate and UGG have you covered, and in more ways than one– all of these pretty pieces are available in different fabrics and colors! Perfect for the pumpkin patch or a casual playdate, these beauties will do the job, keeping your babe looking chic and feeling warm. Looking for the perfect accessory? Head on over to Pottery Barn Kids and check out their unbelievably adorable too cute to handle owl back pack, a perfect topping to any outfit!